The City of Tulia recently hired two new employees to handle code enforcement and animal control duties. Steve Suriano comes to Tulia from Bastrop, Texas, and is a 31 year police veteran. He holds a master peace officer certification and has gained a wealth of experience from working for municipal, county, and state law enforcement agencies. 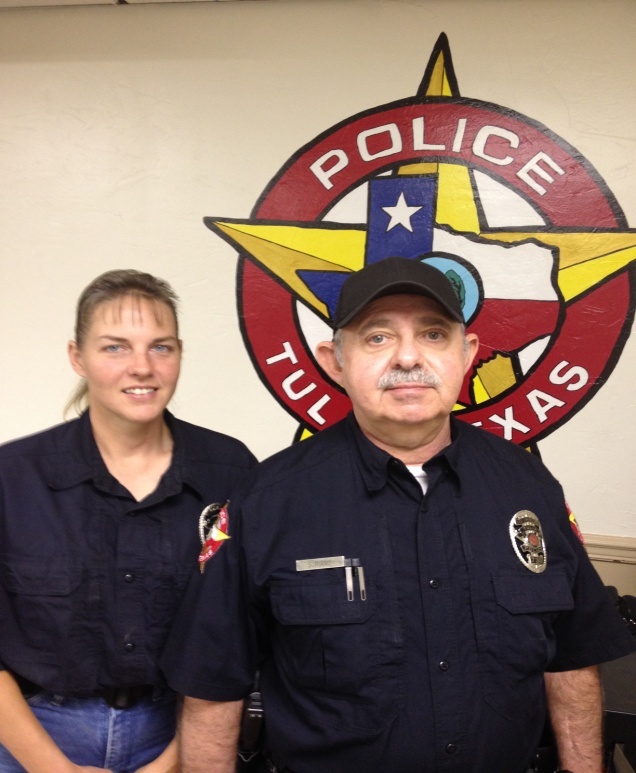 “I am extremely happy to be employed by the City of Tulia as a Code Enforcement /Animal Control officer,” said Suriano. “Tulia is a wonderful City with lots of great people. I feel that I can make a difference in the City by enforcing the codes to clean up Tulia, and helping to make our town a place we can all be proud to call home.” Suriano received his code enforcement training from Texas A&M Engineering Extension Service. Brandie Devine comes to Tulia from Sulphur Springs, Texas. She worked for seven years as a buyer at JBS/Pilgrims where her duties included plumbing, gas line, and water run-off inspections. In addition, Devine was responsible for handling and disposing of company chemicals. Devine said, “It is a pleasure to be a part of the Tulia Police Department team to help the community. I am excited and looking forward to getting to know everyone in the community.” Devine served as the past president and vice-president of the Ewell Barrell Racing Club and has a vast amount of real-world experience in handling different types of animals. She will complete her code enforcement training in June. Suriano and Devine will work closely with City Manager Andrew Freeman and Assistant Manager/Chief of Police Jeffrey Yarbrough to improve the code enforcement efforts of the city.